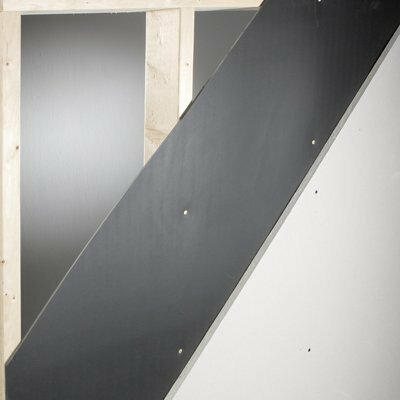 If you’re seeking a reliable, economical solution to your soundproofing needs, the Quiet Barrier™ MD Soundproofing Material sheet can be the perfect solution. 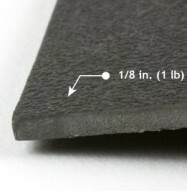 And when you order your soundproofing material sheet with adhesive, you have a fast, easy way to complete any soundproofing project. 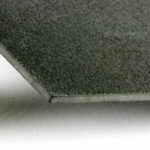 The Quiet Barrier™ MD (w/PSA) Soundproofing Material sheet is a sound absorbing material sheet with adhesive that is 1/8-inch thick and 1 lb/sq ft. Each sheet is a 4×8 sheet of dense, non-porous material covering 32 square feet of surface. Cover any conference room, study or dining area to keep conversations within the room clear and private and prevent exterior sounds from flowing in and interrupting activities inside. 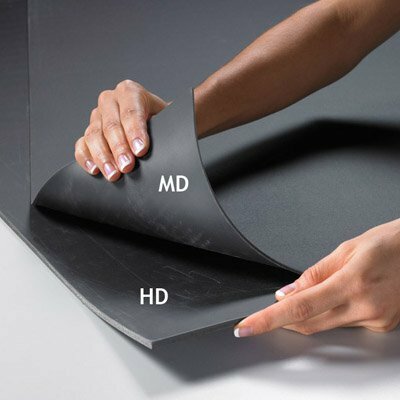 The Quiet Barrier™ MD Soundproofing sheet is a sheet of multi-layer soundproofing protection that works to block impact and vibration noise as well as typical sounds like loud music and street traffic. 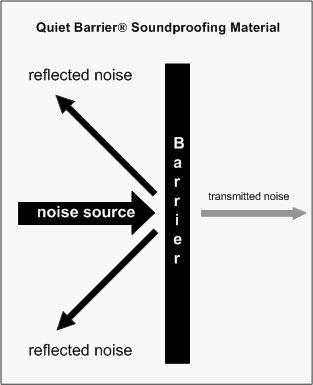 The result is a complete level of sound control that can bring a quiet, peaceful atmosphere to any location. 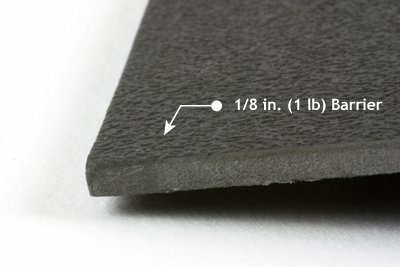 One of the most exciting features of the Quiet Barrier™ MD Soundproofing sheet with PSA is the pressure sensitive adhesive. This “peel and stick” feature makes installation of your Quiet Barrier sheets a snap. Just peel off the backing, press your soundproofing sheets into place, and you’re done. If you’re ready for a fast, easy and effective soundproofing solution, order Quiet Barrier™ MD Soundproofing sheets with PSA today.